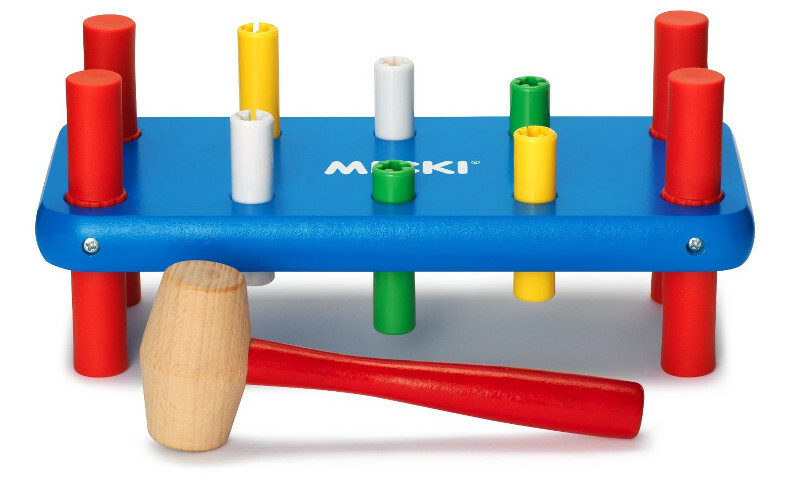 As babies morph into toddlers, they begin to develop quite a discerning taste in toys, and we’ve found some fantastic options to keep their hands and minds busy from Swedish toy company Micki. The toys that have stood the test of time with my children are the classics. And Micki toys are as classic as they come. 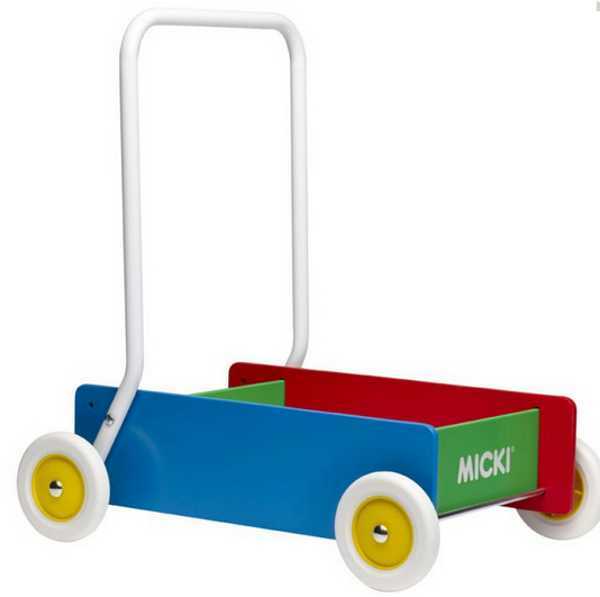 The Micki Classic Wooden Walker is one of those wonderful toys which spans the ages. The perfect first birthday gift for a child just beginning to master their first steps, it’s also just the thing for a confident toddler to push around the house filled to the brim with toys and treasures. Made in Sweden, this walker has an adjustable handle and brake system that can be adjusted to the ability of the walker. The Micki Classic Wooden Walker is $79.95 from Zanui. 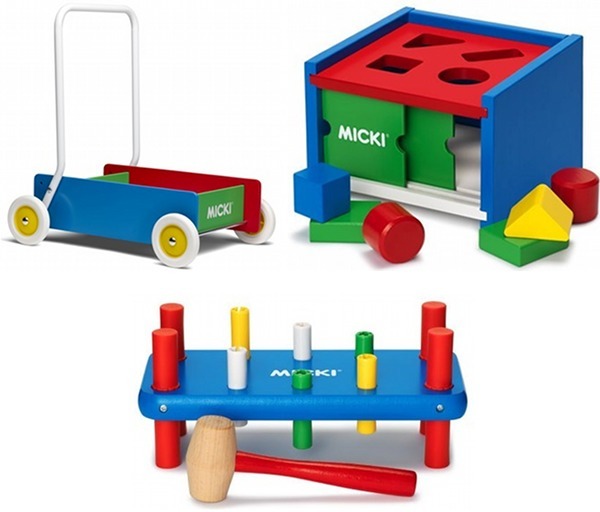 Another perfect toy for the twelve-month-old-plus set is the Micki Classic Wooden Knock Out Bench. With rubber feet to help keep it in place, toddlers will love hammering the pegs through the holes. The Micki Classic Wooden Knock Out Bench is $39.95. Find it at Wayfair. Bright and colourful, the Micki Classic Wooden Sorting Box is as eye-catching as it is intriguing for older babies and toddlers. Once the blocks – which are made from Chinese maple – have been sorted, the little doors push open to reveal them. The Wooden Sorting Box is $34.95 at Zanui. 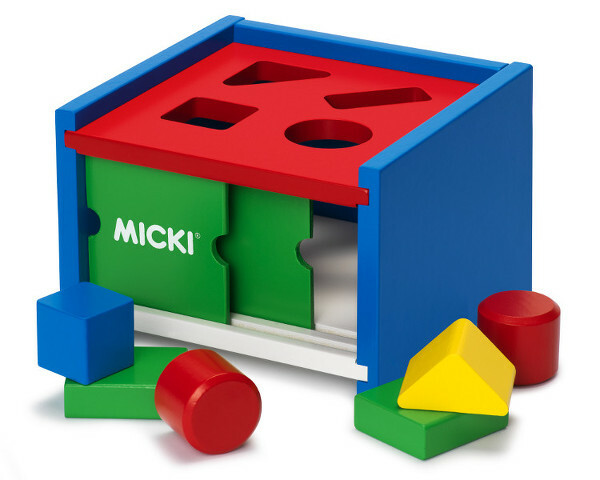 Finally, these Micki Sound Cubes are brilliant toys for toddlers. Our set of these blocks still get regularly rediscovered by my four and two-year-old, and they still adore them years after they were first purchased. 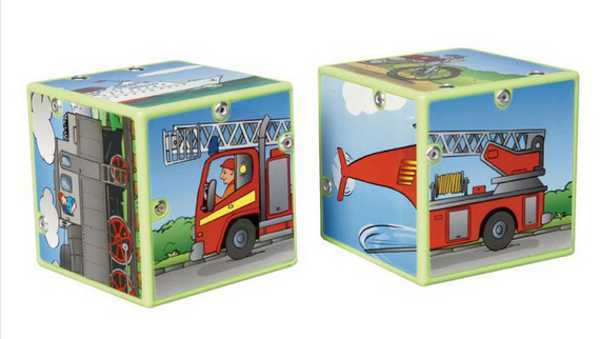 The aim is to match up the correct front and back of each vehicle, and then the blocks will make the sound of that vehicle. Grab them for $19.95 at Zanui.